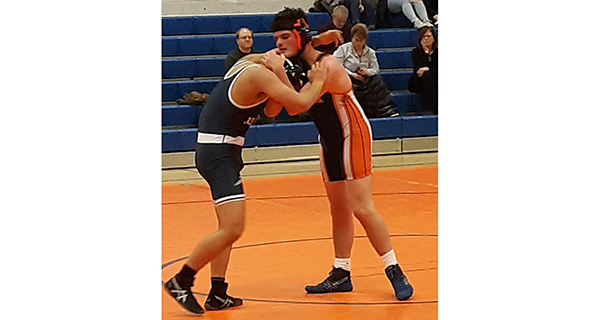 The Needham High wrestling team picked up a big win over Walpole on Thursday night to improve their record to 3-2 on the year. Early on in the season, the Rockets dropped a few matches while fighting off injuries. For this match, the team was coming off the holiday break, with one player still on vacation. 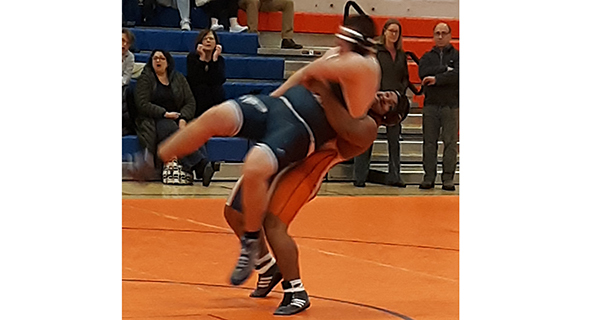 Other highlights of the match included Jacob Smalley’s pin, which Coach Pritchett said came after a few adverse matches. For Walpole, heavyweight Manny Rosado picked up a nice victory at a pivotal time, which included a huge suplex - not an easy feat, considering the size of the athlete against whom he was wrestling. Needham captain Dan Walsh had another nice match, culminating in a pin. Walpole’s 220-pounder Antonio “AJ” Servello had one of the more interesting matches of the night. After quickly scoring a takedown, Servello held his opponent in the near-pin position, then nonchalantly looked towards his friends in the crowd, who erupted in laughter at the lackadaisical look on his face. Eventually, he got the pin and joined them in the bleachers. The Rebel wrestlers will be on the road on Saturday against Bridgewater-Raynham before a home meet against Wellesley next Thursday. The Rockets, meanwhile, are set to host a Bay State Conference tri-meet on January 19.